I have been on the 88-pilgrimage in Shikoku 四国遍路 twice. Yet I still have 42 more temples in the Ehime and Kochi prefectures to visit before completing the mission. 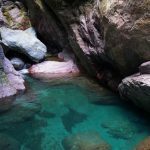 Kylie who wants to take a short break before Chinese New Year, is interested in nature, hot springs and photography, proposes to drive around Shikoku. Kylie works out an itinerary and I hope to visit some temples in the remote parts of the island. 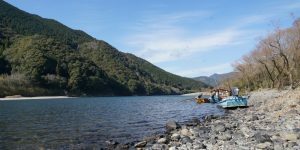 In addition, we would visit Wakayama and other hot springs towns along the coast and return the car on January 30 in the Kansai Airport in Osaka. After Kylie has returned to Hong Kong, I would travel with a JR pass for five days and return to Hong Kong in time to welcome the Year of Pig. I am not keen about budget airlines as they often leave at odd hours. But I have no choice as Hong Kong Express, a budget airline flies direct to Shikoku. I got up before 6 am, left home at 6:30 am in order to catch a flight around 9 am. I took the airport bus A21 and arrived at the airport at 7:30 am. When Kylie arrived, we checked in together. 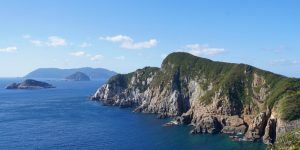 Shikoku四国 is the smallest (225km long and between 50 and 150km wide) with an area of 18,000 km2 and least populous with a population of about 4 million of the four main islands of Japan. 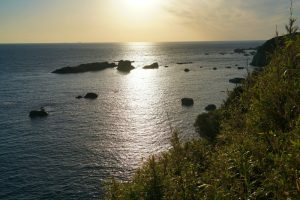 It comprises four prefectures namely Ehime愛媛縣, Kagawa 香川縣, Kochi 高知縣and Tokushima徳島縣 and many small neighbouring islands. Mountains running east and west divide the island into a narrow northern sub-region fronting on the Inland Sea, and a southern part facing the Pacific Ocean. The larger southern area is mountainous and sparsely populated. Land is intensively cultivated with fruit grown throughout the northern area in great variety including citrus fruits, persimmons, peaches and grapes. Rice, wheat and barley are grown in alluvial areas. Kawaga Prefecture known for its wheat production, has been famous for its Sanuki 讃岐udon. Most of the population live in the north. 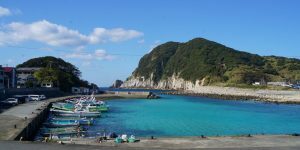 All the larger cities namely Takamatsu松山市, Matsuyama高松市and Tokushima 徳島市with the except Kochi 高知市, are located in the northern part of the island. Our plane landed at the Takamatsu airport on time and we picked up a Toyota car (Aqua 1500cc) just after 3 pm. Kylie was the driver and I was the pilot with the assistance of a GPS. We had no problem till we arrived at the car park located on a plateau in Yashima屋島. The GPS told us we arrived at our destination. But where is Hotel Bokaiso? We could not find any directional sign for the hotel and asked several people. After dropping our bags, we got out just in time to watch sunset over the Inland sea and the city of Takamatsu. By the time we got camera ready, the sun had disappeared behind distant mountain ranges. On the way to the car park, we saw an Ikkaku restaurant famous for chicken drumstick. We drove to the restaurant and had our first meal for ¥1,800. The chicken thigh is juicy, tender and most delicious. 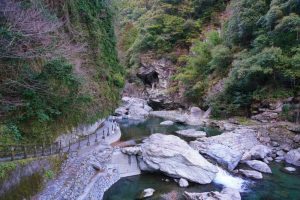 The Shikoku Henro pilgrimage is a magnificent 1,400-km circuit route that traverses the four prefectures connecting 88 temples associated with Kobo Daishi (Kukai). 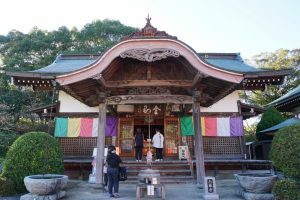 I have completed the first stage in Tokushima (24 temples) and the fourth stage in Kagawa (22 temples). This is my second visit to Tokushima. But most of the sight-seeing spots are new to me. 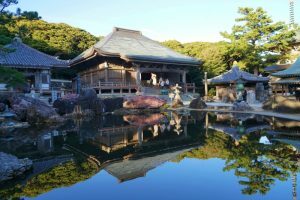 I went to Yashima and had only visited the Yashima-ji 屋島寺(Temple 84). 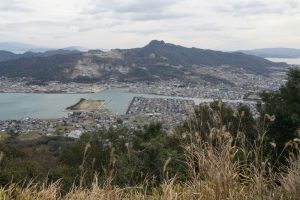 This time I discover more about the plateau and learn about the Battle of Yashima fought between the Minamoto and Taira clans in 1185. Before leaving the hotel, we spent over an hour and a half on the plateau looking at a few memorials commemorating these events. 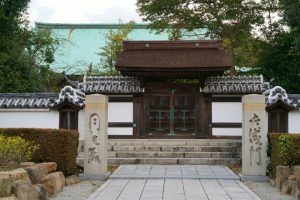 I passed by the Yashima-ji where the relics of the battle and other temple treasures are displayed. 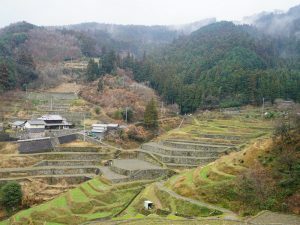 We walked past the reconstructed remains of an early Asuka and Nara Period fortress connected with the Yamato state’s conflict with Korea in the 7th century when it allied with the Kingdom of Baekje in a war against the combined armies of Silla and the Tang Dynasty where the Japanese forces were defeated. 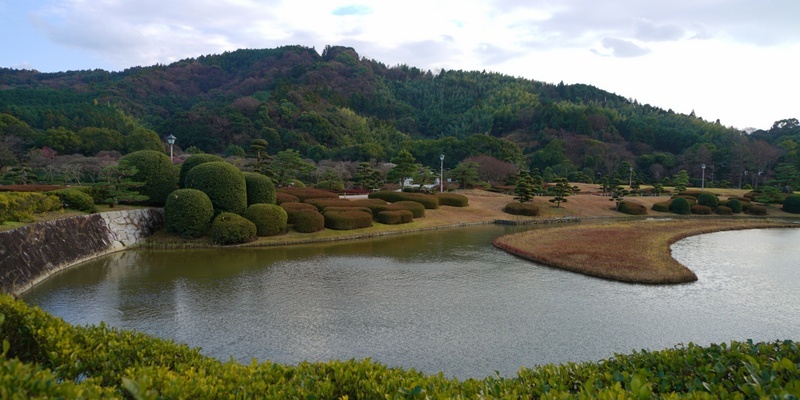 We set off around 10 am and went to Ritsurin Koen a garden first developed in the late 16th century by the Sato clan. 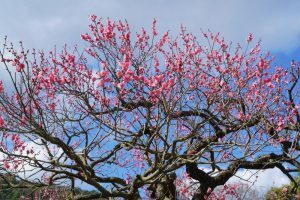 The word “ritsurin” means chestnut groves. 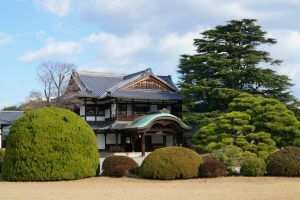 The place was used as the Matsudaira’s villas for 228 years before becoming a public garden in 1875. The garden is divided into two parts. Most of the scenic spots is located in the South Garden while the North Garden, a former duck hunting ground for the feudal lord, has few attractions especially in winter. In the South Garden, the six ponds and 13 landscaped hills have been placed in front of the green vista of Mt. 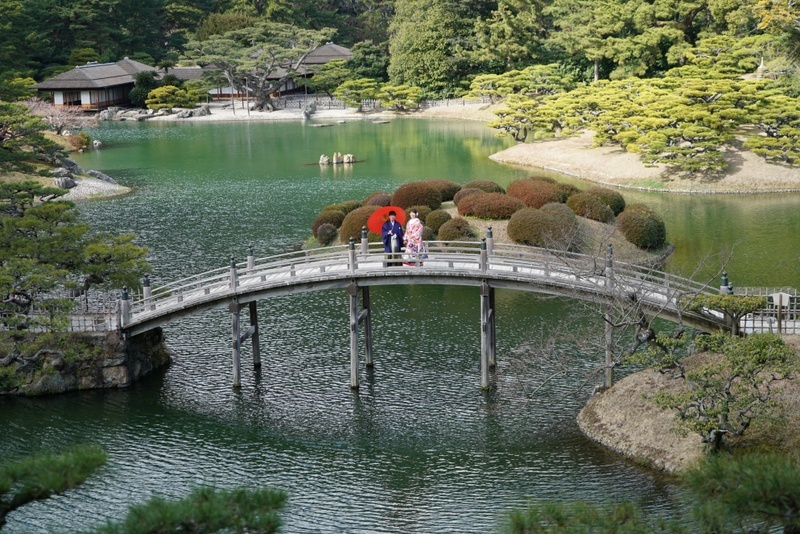 Shiun together with aesthetic rock arrangements, tea houses, pagoda and bridges. The garden is famous for its well-cared pine trees and seasonal flowers. 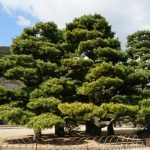 About 1,000 out of 1,400 pine trees in the garden were hand-planted 300 years ago. 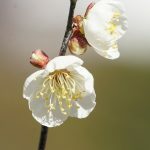 Some 100 plum trees have also been carefully planted in Hyakka-en Ato. 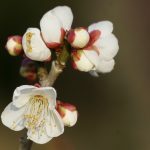 We were fortunate to catch a glimpse of the first bunch of beautiful and exquisite plum flowers of the season! 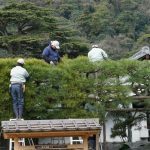 Shofuda, a hill built with many stones piled together is said to be the oldest landscaped area in the garden. It is a great spot to take photos of the garden. We could have spent the whole day in the garden. 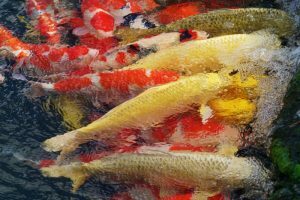 After having spent two hours enjoying the plum flowers and landscape, we left for lunch in the fish market. Kylie is a light eater. Hence, we only spent ¥1,500 on our first sashimi set lunch. 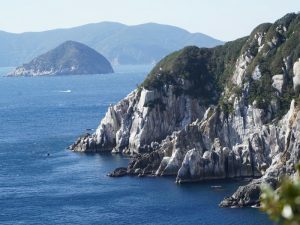 After lunch, we drove to the Seto Peninsula 莊内半島to see the Seto Inland Sea 瀬戸内海which lies between the Japanese main islands of Honshu, Shikoku and Kyushu. 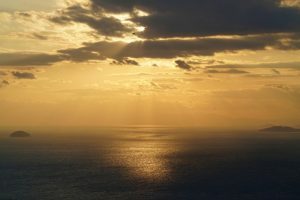 The sea is crossed by three major series of bridges connecting Honshu and Shikoku namely the Shimanami Kaido between Hiroshima and Ehime, the Seto Ohashi Bridge between Okayama and Kagawa and the Akashi Kaikyo and Naruto Ohashi Bridges between Tokushima and Hyogo. 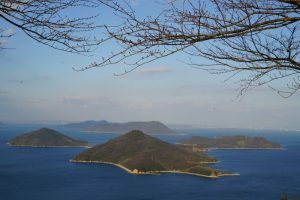 There are some 3,000 islands in the Inland Sea. 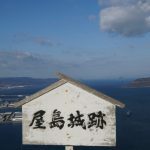 We drove around the peninsula and had an awesome 360-degree view of the sea, the bridges and surrounding areas from Mt. Shiude 紫雲出山 (325m high). 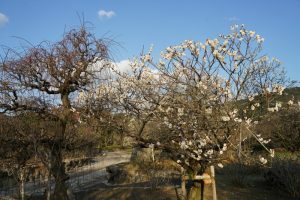 Approximately 1,000 cherry trees have been planted on the mountain which has been described as the best cherry blossom viewing point in Japan because of its spectacular scenery. 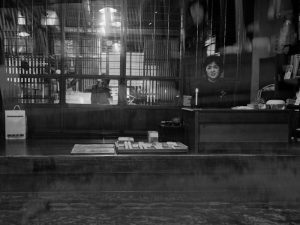 Originally, we planned to stay in Kotohira Kotan, a 400-year-old onsen hotel. But it’s too expensive. We ended up staying at Kotohira Onsen Kotosankaku (¥10,800) which is so-so. We had a BBQ dinner with pork, mutton and chicken in a local restaurant for about ¥1,800. 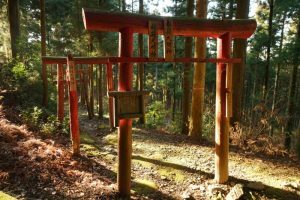 The top attractions in Konpria are the Kotohiragu Shrine and hot springs. 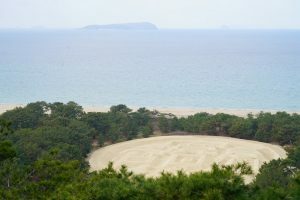 As I have visited the shrine and Kylie is not interested about the Shinto shrine, we drove to Kotohiki Park 琴彈公園in Kan-onji City to see the Coin Sand Sculpture 錢形砂繪measuring 90m long and 122m wide. I have seen this sculpture which was first made in 1633. Before leaving the city, I asked Kylie to drive me to the guest house I had stayed before. I hoped to find the owner Juno who has been very kind to me. The gate was locked. This explained why no one had answer the phone. We had excellent udon in an udon factory! 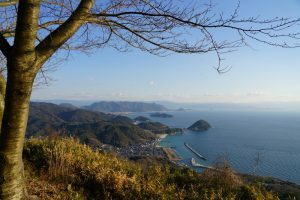 Our original plan was to visit a few attractions in Imabari including the Towel Museum and Kirosan Observatory Park. 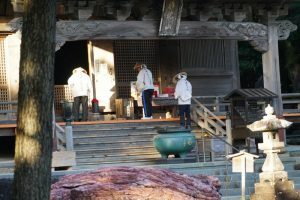 But when I spotted a sign of Temple 65 Sankakuji 三角寺, Kylie offered to make a detour to enable me to visit the temple. After driving about 4km off the main road, we saw a flight of steps to the temple and a sign car park ahead. Kylie suggested driving to the carpark so that I did not need to walk. The road gets windy and very narrow. Soon I realised that we were driving away from the temple. There was no safe place to turn back. We drove on till we hit another main road heading to Mount Ishizuchi 石鎚山the highest peak at 1928m in Shikoku. 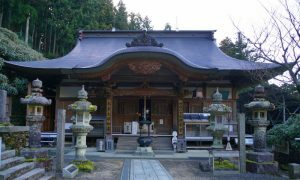 At the road junction, I spotted another sign to Temple 60 Yokomineji 横峰寺. Kylie was ready to drive back to Temple 65. But I suggested we drive to Temple 60 instead. Soon, we turned off the main road going further and further into a wooded area. There was no car till we reached a point with a board indicating ‘no entry owing to frost/snow ahead’. We were puzzled and stopped. A car from the forestry department came and we asked whether we could drive to the temple. He said ‘Yes’. We drove on. The road is narrow and winding. At the end, we might have driven some 10 km before arriving at the temple. 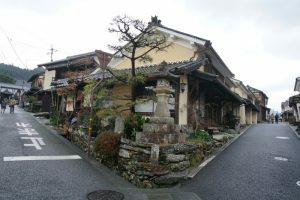 It is a fairly small temple. After paying respect to Kobo Daisi, I went to the office to get a stamp. No one was there. I was disappointed as it would be difficult to come again. It was getting late and we had time only for one more attraction. We picked the Towel Museum of Art Ichihiro毛巾美術館. 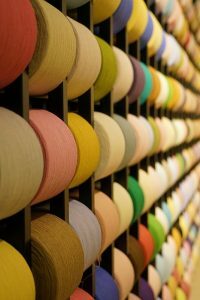 Imabari boasts the greatest production of towels in Japan. This museum is the world’s first museum dedicated to towels. As the museum would be closing at 6 pm, we would have less than an hour to tour around. Luckily, we paid a reduced entrance fee of ¥500 pp. To my surprise, the museum with three exhibitions is more interesting than I have thought. 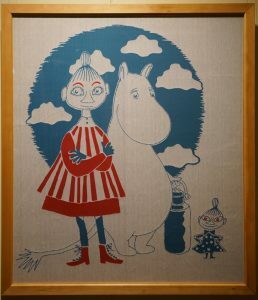 The permanent exhibition is devoted to Tove Jansson’s Moomin. This Finnish artist has created the moomin which is lively, funny and amusing. The two special exhibitions are equally outstanding. The first one shows an extensive fabric collection with floral patterns and daring colours by an artist 中島. I am more impressed by the touring exhibition on puppets made Mayumi Takahashi 高橋. One day I shall find my way to her Doll Art Museum in Iiyama. We spent the night in the Hondani Onsen-kan本谷温泉館 伊予三湯, one of the three famous hot springs in Shikoku. The family-run onsen has only a few rooms and only takes phone reservation. As a result, I had to bother my Japanese friend Miyo to make the booking for us. We paid ¥19,800 for two with breakfast and dinner. 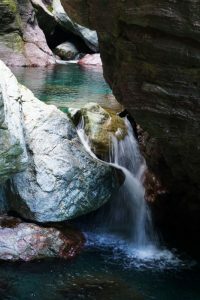 The water of this natural hot spring is fantastic! 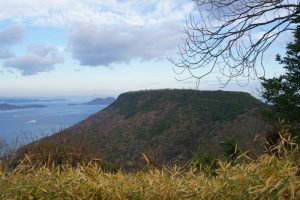 Mount Ishizuchi,one of Japan’s seven holy mountains, was on our list. 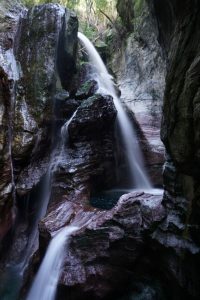 But the hotel receptionist said the hiking trail was closed in winter owing to heavy snow. 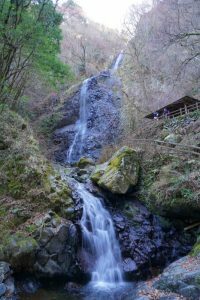 As a result, we went to the Shirai Falls 白猪瀑布which is described to be impressive in winter when it was frozen. But the weather was not cold enough and there was not much water. We spotted the sign of Temple 47 Yasakaji八坂寺 and I went in and got my first stamp on this trip. Temple 46 Joruriji 浄瑠璃寺is close by. I therefore visited it as well. But no one was at the office and I could not have my book stamped. Japanese are known for their perfection and punctuality. It is inconceivable that the stamp office of Temple 60 and 46 though open was not manned. We decided to visit Tobe known for its pottery. We spent some time in the display centre which shows the works of some 20 well-known Tobe Yaki pottery makers. We discovered from a local tourist information board that there is a park nearby showing the intrusion of lava. We found it: the scale of the intrusion is small and not distinctive. The traffic to Dogo was bad: it took us a long time to cover less than 10 km. It was around 5 pm when we drove past the Dogo-kan道後温泉本館, which I have already visited. 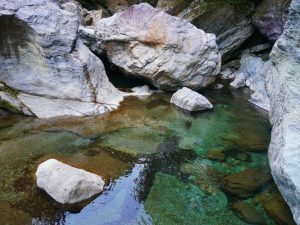 It is one of the three oldest hot springs in Japan with 3,000 years. I am not a good pilot. This time, we missed the turn to enter the public car park. We drove on and got lost in a labyrinth of narrow lanes. We drove round for over half an hour. Poor Kylie was tired and hungry. 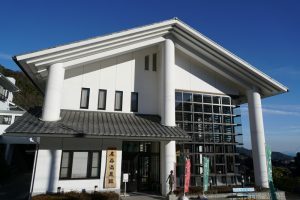 A quick look of the building of Dogo Onsen from the outside was sufficient for Kylie. We had dinner near Dogo-kan before driving to the Super Hotel, a budget hotel near the city centre. The self-contained room though tiny with a bunk bed, is clean and comfortable. We took a leisure stroll to the city centre: I still remember the streetscape. 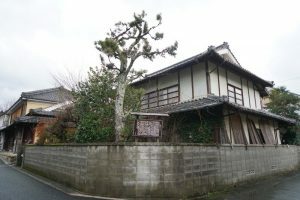 We headed to Uchiko内子, once a prosperous centre of wax and paper production. On the way, we stopped in an interesting shop by the road. 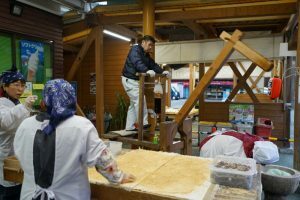 It is managed like a co-op selling agricultural produce from the area. 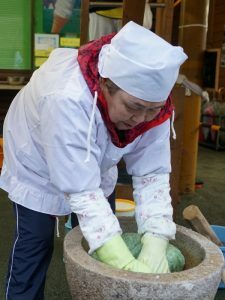 Half a dozen locals mostly in their 50s and 60s were busy making traditional rice cakes with red bean inside. We bought 2 cakes (¥60 each): they were fresh, hot and most delicious! When we reached Yokaichi Old Town 八日市, it was drizzling and grey. 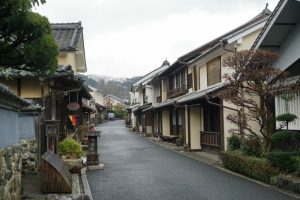 As a result, the historical district with a street of well-preserved houses some over 400 years old, was empty but atmospheric. The streetscape with houses painted in a pastel yellow with wooden gates, looks distinctive. As it was Sunday, most of the shops were closed. I felt I had the place to myself. 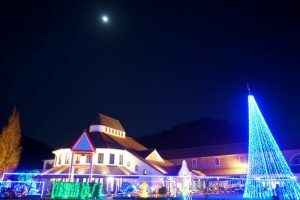 It would be even better to spend a night in a minshuku here. Our second stop was the Izumidani Terraced Rice Field 泉谷梯田 with 95 paddy plots high up in a valley. We took an hour to drive there. But I am not impressive especially when the field was brown and empty. I suppose the Yusumizugaura Terrace Field 遊子水荷浦梯田by the sea might be more picturesque and interesting. Our third stop was Nanraku-en Garden南楽園. We arrived just before 4 pm and had only an hour before closing. 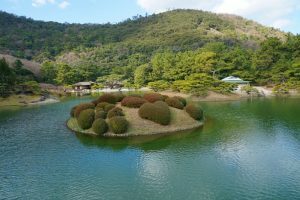 This garden is the largest Japanese garden in Shikoku with an area of 153,322m2 comprising of an upper and lower reservoir with two ponds. 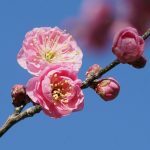 There are thirty thousand assortments of iris, cherry, plum, azalea, wisteria trees and others: there are flowers throughout the year. 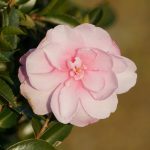 We saw Japanese camellia and were particularly impressed by the collection of some 160 precious old plum trees in the plum park. Tonight, we spent our first night in Kochi. On our way to the Bellreef Hotel in Otuski大月町, we stopped in a family-run restaurant specialised in pork for dinner. It was the first time we were not satisfied with the quality of the food. 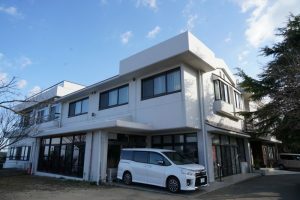 It’s low season and we paid ¥8,200 a night for a spacious loft with three beds and a balcony. We were so impressed by the quality and view of the hotel that we immediately booked for one more night. We had a leisure day as we did not need to pack and unpack. 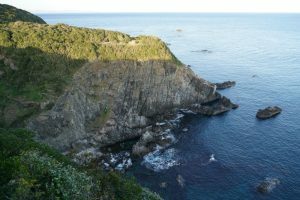 Today, we would be just driving along the Kashinishi coast and to visit Cape Ashizuri. 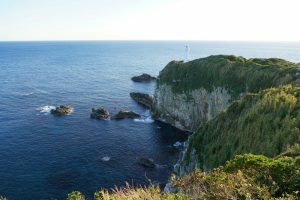 The Kashinishi coast is known for its beautiful rugged white rocks. We first drove to Kashiwa 柏島about 16km from our hotel. 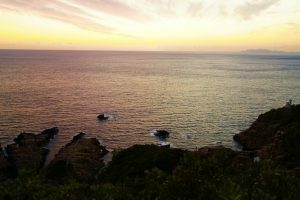 The sea around the islands of Kashiwa, Okinoshima and Uguru, relatively warm thanks to the Kuroshio current that flows into the area, is a rich fishing ground. We spent almost half an hour in the port watching divers bringing in their catch of the day and workers dumping frozen mackerel in tanks with water. There are a couple of attractions in the area. 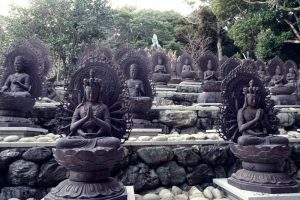 We strolled around in Kashiwa before driving to see the Kannon Rock standing at 30m high above the deep blue sea resembling Bodhisattva Avalokiteshhvara. 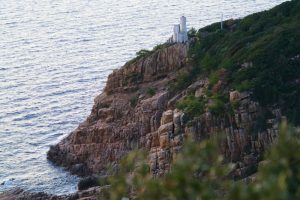 We then tried to find to no avail a lookout which gives a spectacular view of the rocky coastline. After driving around a few times, we gave up and stopped for lunch. After lunch, we headed south to Cape Ashizuri 足摺岬. On the way, we made a few photo stops. 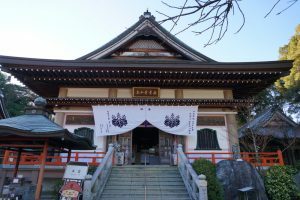 I also stopped at Temple 39 Enkoji延光寺. 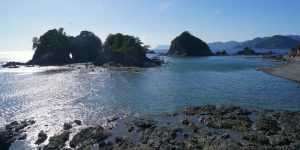 At 4 pm, we arrived at the Ashizuri-Uwakai National Park 足摺宇和海国立公園 at the southwestern tip of the island of Shikoku. 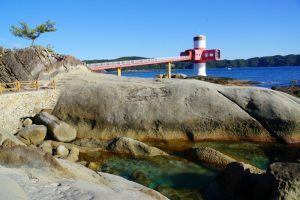 The main feature of the park is Cape Ashizuri the southernmost point of the island. Nakahama “John” Manijiro, the first Japanese to visit the US, was born, shipwrecked and rescued in the vicinity of the park. There is a statue of Manijiro in the park. 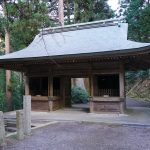 Kobo Daishi had been here and Temple 38 Konggofukuji 金剛福寺 is located in front of the park. I suggested Kylie walk on her own and we would meet at the carpark at 4:45pm if I did not catch her in after visiting the temple. 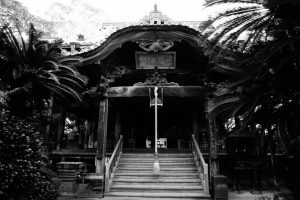 The temple covers a large ground with a main hall, a Kobo Daishi Hall, a pagoda and a pond. The garden is covered with many beautiful old trees. I was captivated by the atmosphere and spent over 20 minutes in the temple. I did manage to have a quick tour of the national park and reached the light house before taking the same route back to the car park. Owing to some misunderstanding, Kylie did not start heading back to the car park till 4:45 pm. Hence, we did not leave till 5:15 pm. 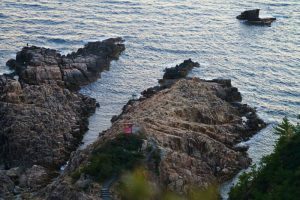 We were hoping to watch sunset at Usubae a stone about 2m above the sea and 3m in width looking like a mortar (usu). 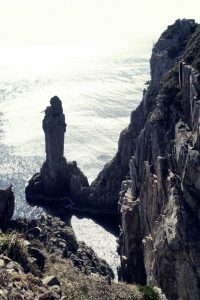 This is the first place in Japan where the Kuroshio Current reaches the coast and is a mecca of fishing. The current, swirling in it, looks like a millstone being ground, thus giving it the name ‘usubae’. Unfortunately, I did not tell Kylie to take a side road in time. Hence by the time we reached Usubae, the sun was almost gone. It was too late to walk to the rock. It took us another hour and a half to drive back to the hotel. We had dinner at the restaurant. I had an excellent sashimi set for ¥1,980 with six types of fish/seafood. Kylie took a beef set and we shared. Tonight, we paid ¥7,800 for the room and ¥3,960 for food. Excellent value! We had breakfast at the hotel too (¥1,000 pp) before heading inland looking for the Niyodo River 仁淀川with a visit a waterfall in the Nakatsu Valley 中津溪谷in the middle section of Kochi. We had not booked any accommodation yet. We set off at 9:30 am and drove slowly through the country road which speed limit is normally 30km an hour. The rural scenery is pretty with fields under intense cultivation. We had a brief stop in a nice café around noon and had a coffee and pancake. We paid about ¥1200. Not cheap but worthwhile. It was 2:30 pm when we arrived in the Nakatsu Valley. 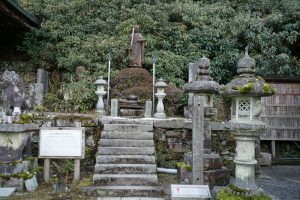 There is a well-maintained walking trail of 2-3 km lined dotted with stone statues of “Shichifukujin” (The Seven Deities of Good Fortune). We hiked for an hour to see a waterfall. 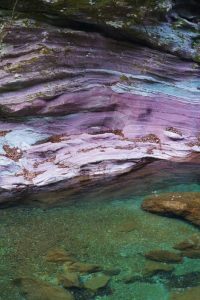 As it was cloudy, we did not see the best of the Niyodo blue仁淀藍. The water was crystal clear though we missed the gorgeous blue hues. It’s about 4 pm when we were back on the road. 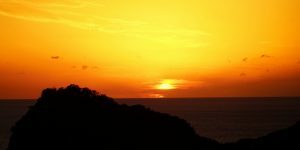 We found a hotel online in Ino and hoped to reach it before dark. If it did not have a room available, we could have time to find another. Then I spotted a sign for a local guest house in the Yasui Valley 安居溪谷which is another beautiful valley on Kylie’s list. Despite her dislike for narrow and winding roads, she did not complain. We drove several kilometres before reaching the guest house. Alas, it was closed. We should have called first! I love this valley. It must be an excellent area to enjoy the foliage colours. It was getting dark and we could not see the Niyodo blue. We raced back to the main road (R194) just before it got dark. We arrived at Qraud Tosawashi Kougeimura just after 6pm. We paid ¥10,800 for a twin room. As the hotel only offers a gourmet French-styled dinner at ¥5,400, we decided to drive to Ino for dinner. We had a lovely dinner at a local restaurant recommended by the hotel for ¥2,500 for two. There is an onsen at the hotel. It was freezing and I felt wonderful after a hot soak in the hot spring.